Ask anyone who ever shopped at the mall, "How many floors did the Nanuet Mall have?" The answer is two (Boscov's had a third floor, though). This would be incorrect, though. 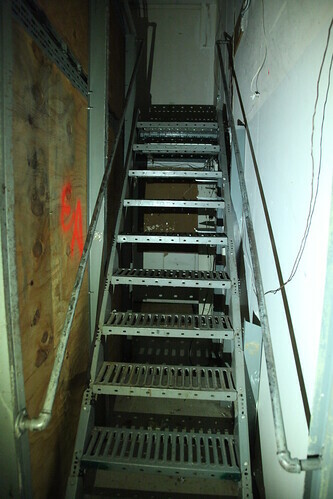 As a practical matter, the main body of the mall had four floors, because there were stores on both the first and second floors that featured a mezzanine in their back rooms, including Spencer Gifts, whose stair-ladder is seen here.